Chairman of GMGC, Prof. Ganesh Hingmire has won two consecutive National Awards in the category of “National IP Award for Best Facilitation of Registration of GI and Promotion of Registered GI in the Country” given by Department of Industrial Policy and Promotion, Government of India. This award is honored by Hon. Minister Nirmala Sitaraman, Minstry of Commerce and Industry, Government of India, in April 2016 at Delhi. 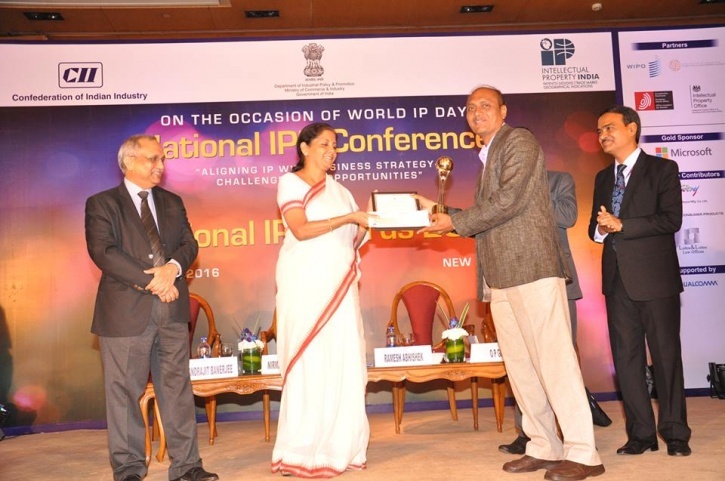 He is renowned Intellectual Property Enthusiast, considering his special initiative on Geographical Indication the Office of the Controller General of Patents, Designs and Trademark honored him with IPO Special Mention Award in 2015. This award too was delivered by Hon. Minister Nirmala Sitaraman, Minstry of Commerce and Industry, Government of India.